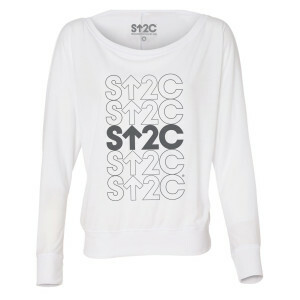 Stand up in style with this chic flowy SU2C long sleeve t-shirt. This super soft long sleeve t-shirt has our upgraded repeated stack logo will keep you comfortable once the cold weather comes. 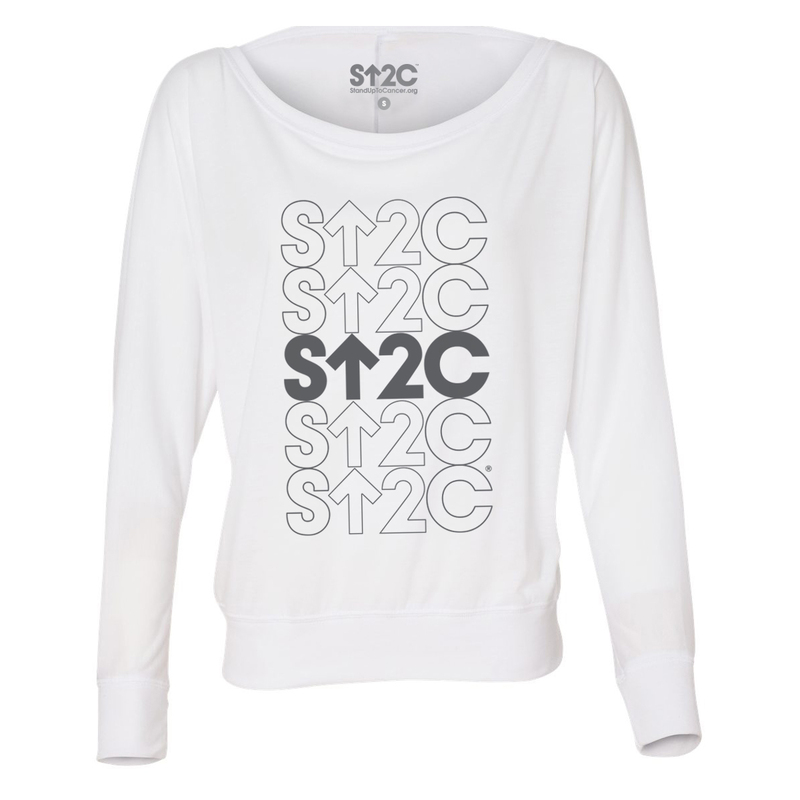 Whether you're hanging out with friends, going to the gym or running errands, show your support and be proud that you are joining the fight against cancer.